My experience with then IBM owned Thinkpad T43P was horrible. It was perhaps the noisiest laptop in the world: its fan sounded like a tractor, and to make things worse, the hard drive also span with grating noises. I ended up returning the $1500 T43P, and hated Thinkpad for a long time. Why compare DV2000T with a Thinkpad T61? Abhorred by the noisy Thinkpad, I opted for a HP DV2000T and liked it. But I have to admit that I still secretly want a Thinkpad despite my suffering with T43P. Honestly, I miss its sturdy feel though I hate its raucousness. My sister needs on laptop for her accounting business, so I persuaded her to get a Thinkpad T61 and did a fresh reinstallation of Windows XP on it. Now I have the chance to compare these two lappies side by side, even though T61 is a generation younger than DV2000T. The noise is gone on this new model of Thinkpad with integrated graphic card. It is very quiet and the fan is just inaudible. In comparison, my DV2000T is loud. T61 is barely warm. My DV2000T has a dedicated Nvidia Go 7200 graphic card, and it gets hot even for normal use (the CPU temperature hovers around 51 degrees centigrade). T61 certainly wins by its handy features, such as keyboard light and ThinkVantage. DV2000T (perhaps all HP DV series) is disappointing in this aspect. What are the features I like about T61? Keyboard Light. Users can easily find the keys in dark environment. Liquid Drainage. If by accident, users poured some liquid on the keyboard, the small drainage holes on the keyboard will channel the liquid to the bottom of the laptop. Hard Drive Encryption. Even the drive is taken out and placed on another computer, the data on the encrypted hard drive is still encrypted. More Control over CMOS Settings. The BIOS interface of T61 offers far more options than DV2000T, providing users with more control over their laptop. The international standard two-pin power plug. HP’s power adapter uses America compatible three-pin plug and I have to use a converter to use it in China. Also, T61’s power adapter is lighter than the HP’s. UltraNav (trackpoint) increases productivity. It takes extra time and movement to reach for the touchpad or a connected USB mouse on DV2000T. Useful software. ThinkVantage Active Protection System suspends the hard drive on detection of sudden movement. Power Manager is designed to prolong the battery life, and Battery Miser can rejuvenate the failing battery. 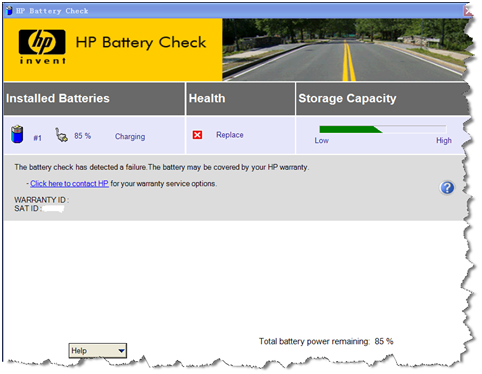 HP just offers a pathetic Battery Check to tell you the unavoidable demise of your battery and allure you into order a new one. The screen lid can’t be tightly latched to the base. There is a thin space between the cover and the base even the cover is latched. A design flaw or a design feature? The top cover to be exact, bulges a little in the center. The top cover should be completely flush and flat, but when being felt by hand, the top cover rises in the central area. What is hidden underneath it? A laptop with an integrated graphic card is preferred than the one with dedicated graphic card. An integrated card means less battery drainage, less noise and less heat. Choose quietness and portability over horse power. There is no such thing as a perfect laptop, though T61 is very impressive. No, I have no interests in Macbook. Linux and Thinkpad make a perfect match. 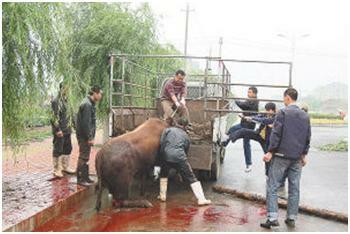 In the early morning of June 7th, a bull escaped the slaughterhouse by jumping over a 1.8 meter high wall, after witnessing several other bulls were butchered. It ran almost 30 kilometers before it was corned in the street. The owner managed to cut the tendons on both of its hind legs, and shipped it way in a truck.